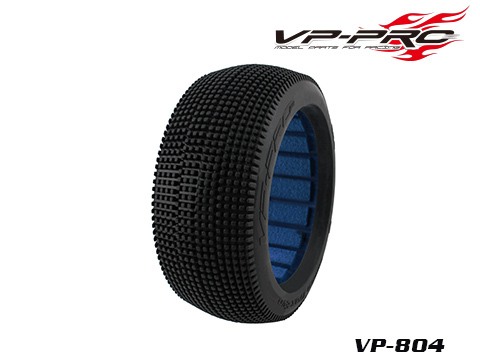 VP PRO has introduced new 1/8 buggy tyre, with a high wear and high abrasion resistance, which is suitable for abrasive surafces.The new tire is packed with over 2000 individual pins.The tyres are meant to excel on tracks with dusty, bumpy, and sometimes wet and dry areas where more forward grip is desired. The half-height design of the bar still allows flexibility while providing incrediable durability and low wear. *Compare to Proline Fugitive Lite, JConcepts Reflex, and AKA Double Downs.